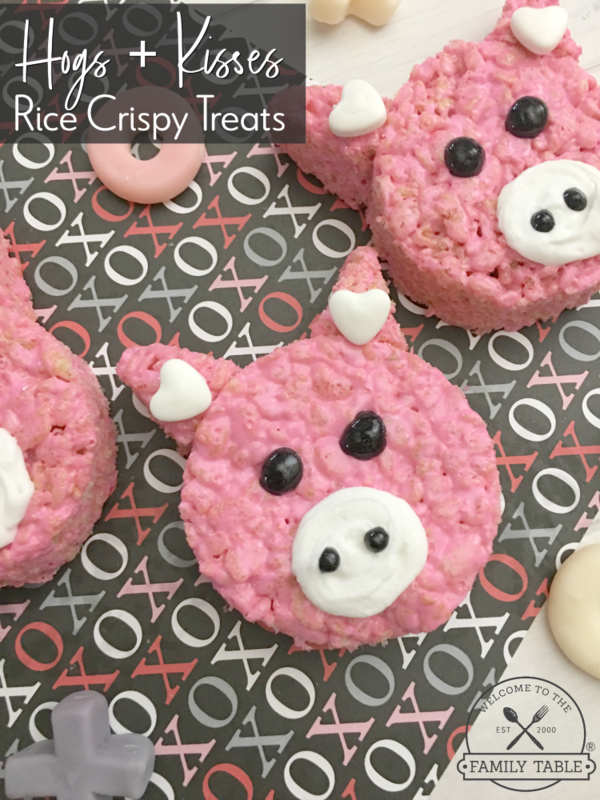 Valentine rice crispy treats? Count me in! 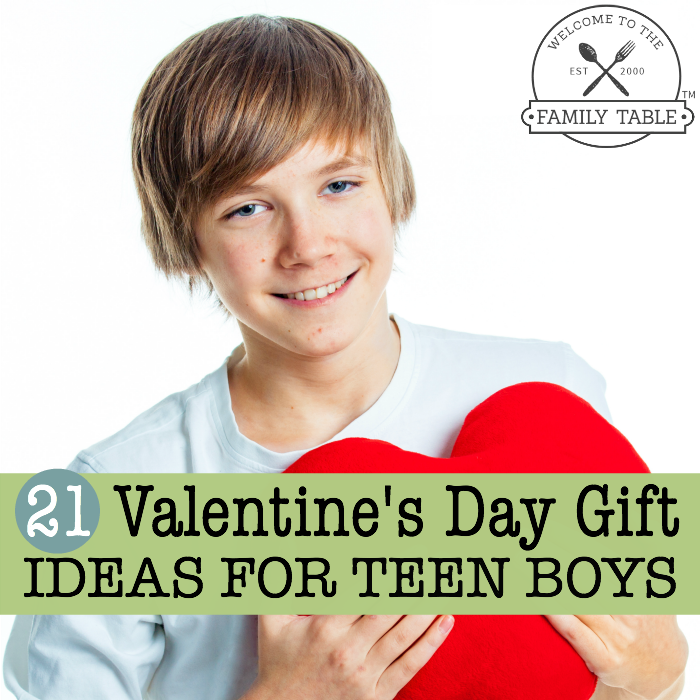 Valentine’s Day is one of our family’s favorite times to create cute and fun goodies to pass out and share. 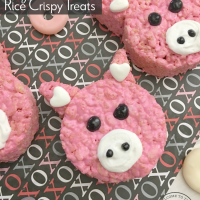 Today we are going to share with you an easy, fun, delicious, and simply adorable recipe that you and the family can easily make in the kitchen: Hogs + Kisses Valentine Rice Crispy Treats! 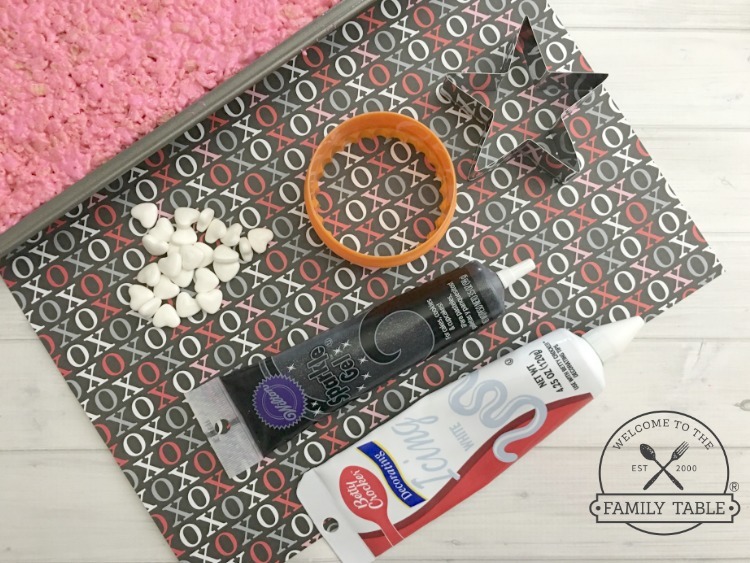 Not only are these gorgeous treats a hit to all we give them to, they are also easy for any age to create. I know sometimes it can be stressful for certain personality types (ahem….like my Type-A one) to get the courage to get the toddlers and preschoolers in the kitchen. Although my children are much older now, I know that this recipe is so simple that toddlers can easily and safely take part in the fun! 1. Place your marshmallows and butter in a large microwave safe mixing bowl. 2. 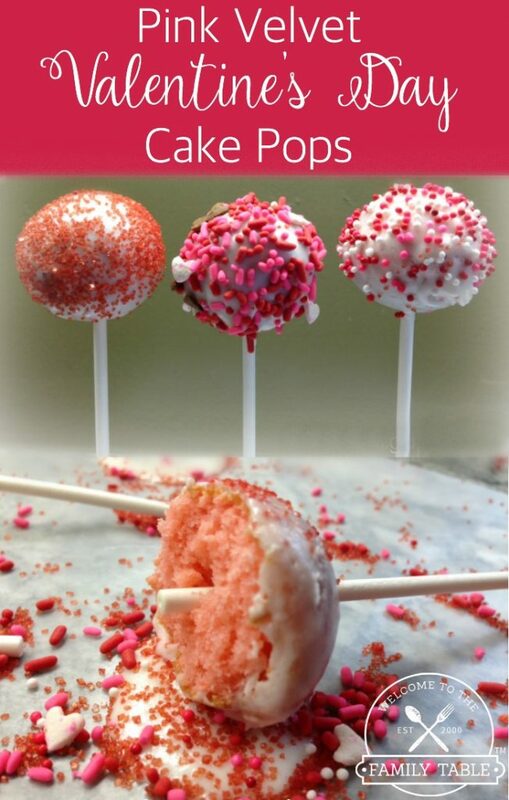 Microwave for 1-2 minutes or until marshmallows gets puffy and stir in a few drops of pink food coloring. 3. Mix in your cereal with a wooden spoon. 4. Grease your baking pan with a non-stick cooking spray and press your cereal mix firmly into the pan. 5. Freeze for about 30 minutes or until they start to firm up. 6. Use your circle cookie cutters to cut out your round shapes and use your star cookie cutter for the ears (one per two circles). 7. Cut the points off the stars and press them onto the top of the circles (they will stick if you make sure to do this right after you cut the treats). 8. Stick on a heart on each ear with a dab of white icing on the back. 9. Draw two black eyes below the ears with your black gel icing. 10. 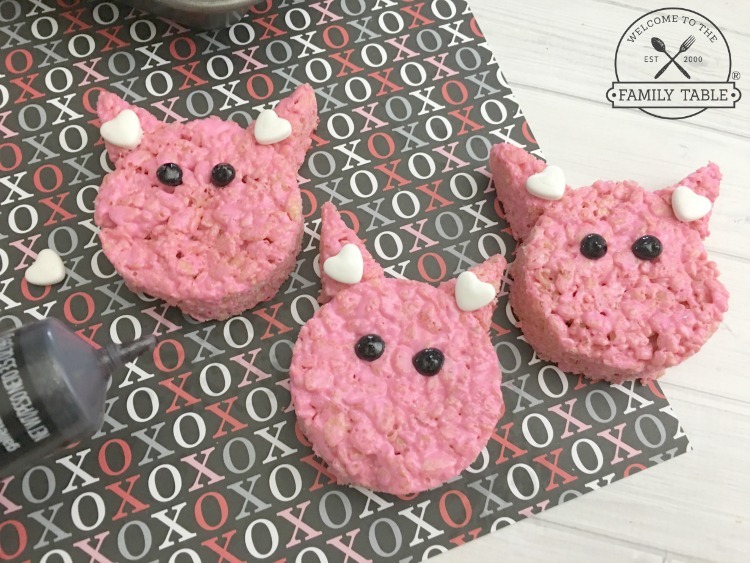 Now draw a white circle below the eyes with your white icing and draw two black icing dots in the center for the pigs snout. Place your marshmallows and butter in a large microwave safe mixing bowl. 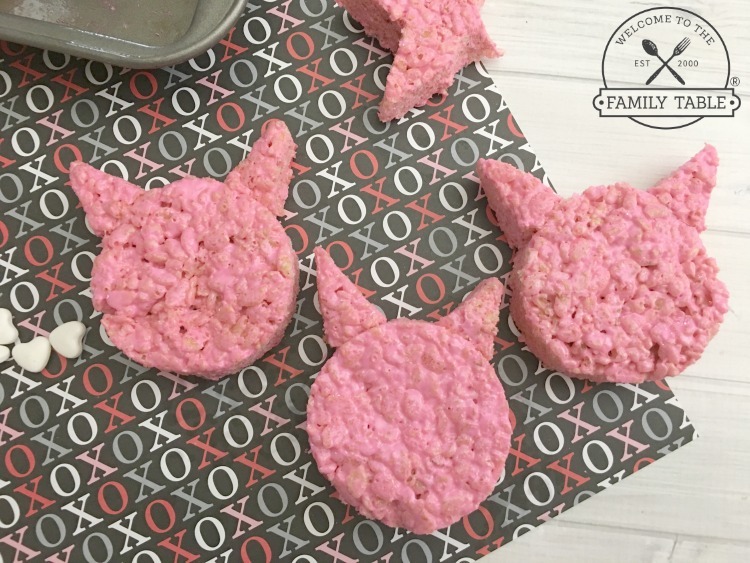 Microwave for 1-2 minutes or until marshmallows gets puffy and stir in a few drops of pink food coloring. Mix in your cereal with a wooden spoon. Grease your baking pan with a non-stick cooking spray and press your cereal mix firmly into the pan. Freeze for about 30 minutes or until they start to firm up. Use your circle cookie cutters to cut out your round shapes and use your star cookie cutter for the ears (one per two circles). 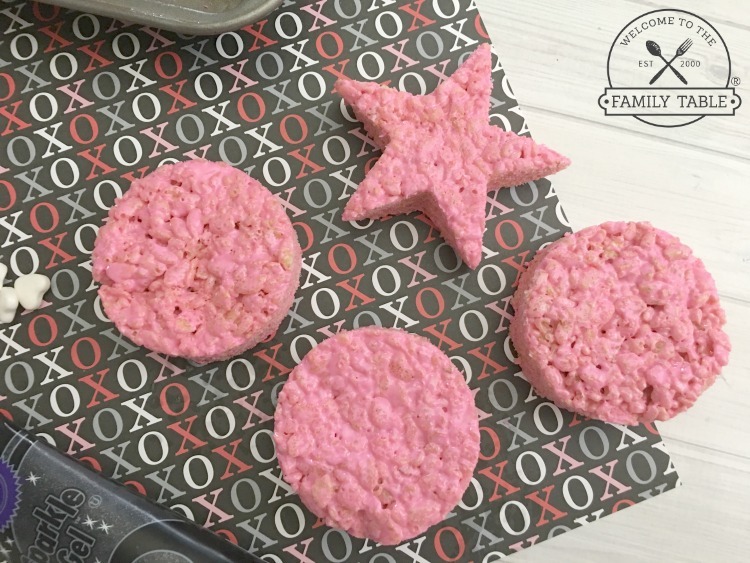 Cut the points off the stars and press them onto the top of the circles (they will stick if you make sure to do this right after you cut the treats). Stick on a heart on each ear with a dab of white icing on the back. Draw two black eyes below the ears with your black gel icing. 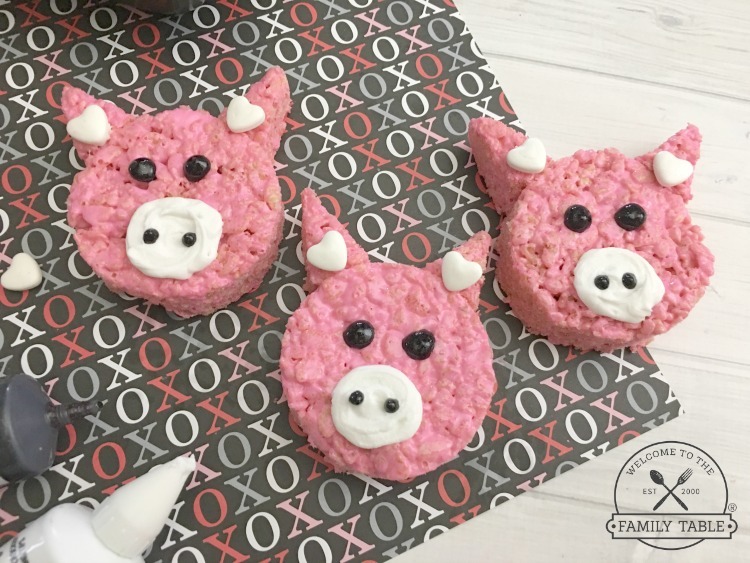 Now draw a white circle below the eyes with your white icing and draw two black icing dots in the center for the pigs snout.